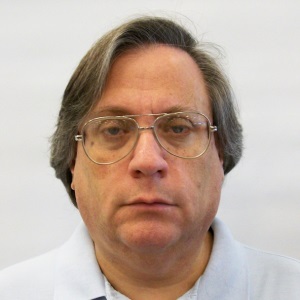 Jay Unger is an information technology professional with over 40 years of experience in the development of computers, operating systems, software and applications. Since the 1960s, he has participated in the evolution of systems technology from mainframes and minicomputers, through distributed computing, personal computers and workstations and now into the internet and cloud computing eras. He has “hands on” experience with a wide variety of hardware and software technology, including operating systems, systems design and architecture, programming languages, data base, storage systems and file systems, physical and electronic security and networking technology. Jay studied mathematics and computer science at New York University and later he was the Assistant Director of the NYU Academic Computer Center. After working as an independent consultant for several years in the early 1970’s he joined IBM in 1974 in New York to work on the development of IBM operating systems and related software. Over his more than 30 years at IBM he was a leader in research and development in many area including, databases and file systems, electronic publishing, imaging and document management systems, natural language processing and information retrieval, bioinformatics and life-science applications, imbedded systems, distributed systems, network computing, web technologies and high-performance computing. Jay is listed as an inventor on over 20 U.S. and International Patents and was named an IBM Master Inventor in 1999. Prior to retiring from IBM in 2007 he was named an IBM Distinguished Engineer. In his last several years both at IBM, and continuing since, Jay developed a keen interest in the areas of internet identity, information security and personal data. While still at IBM he helped develop a “first in the industry” corporate policy regarding protection and use of employee’s health and genetic personal data. After leaving IBM he founded a startup for the secure transmission and storage of important personal documents and has developed several innovative methods for information protection and user authentication. While at IBM and since Jay has been heavily involved with industry standards organizations, trade consortia and working groups including SHARE, the Association for Information and Document Management (AIM), the Desktop Management Task Force (DMTF), the Internet Engineering Task Force (IETF), the Global Grid Forum (GGF), the Globus Foundation, the Open Grid Forum (OGF), the World-Wide Web Consortium (W3C) and others. Recently he has been active in organizations involved with internet identity and personal data including Identity Commons, and IDESG. He has served on the management council, board of directors, and technical councils of several of these organizations and was a pivotal player in the formation of both OGF and IDESG.